There are many types claims made as a result of injuries on another person’s property under Alabama’s common law. These claims are commonly referred to as premises liability cases or “slip and fall,” or “trip and fall” cases. They can occur inside or outside of a building, in parking lots, sidewalks, entry ways, yards, or many other places. Typically, these claims involve injuries caused by debris or liquids on floors, falling merchandise, uneven floors or defects in floors, poor lighting, and other hazardous conditions. Many of these conditions can be traced to violations of applicable building or life safety codes. Premises Liability cases can be some of the most difficult cases to prove under Alabama law. There are many factors that have to be considered to determine whether you have a valid claim against a property owner or business. The business or property owner is not responsible for an injury just because it occurred on their property. In order to recover, the injured person must prove that the business or property owner did something or failed to take some action that caused the injury. What is the burden in a premises liability case? As the injured party, you and/or your attorney typically have the burden of proving by a preponderance of the evidence that you were injured as a result of a dangerous or defective condition that was known or should have been known to the business or property owner. Such knowledge may not be required in the event that the business or property owner created the condition that caused the injury or in the event that a fixture on the premises caused the injury. A business or property owner is not responsible for an injury if the dangerous or defective condition was “open and obvious” to a reasonable person or if the injured person failed to use reasonable care to prevent their own injury. These defenses can often prevent a recovery in cases where the injured person failed to recognize spilled liquids or debris and the hazards would have been apparent. If you are injured in a business or on another person’s property it is critical to gather any available evidence. If you are able, use a camera or a mobile phone to photograph the area where you fell and document the hazard that caused you to fall. In addition, obtain the names and telephone numbers of anyone who may have witnessed your injury. This evidence will be very important when proving your case. Be sure to report the incident to store management and describe your injuries. This allows the business or property owner to document the incident and make a report. However, do not provide a written description of the incident or a recorded statement until you have had the opportunity to consult with an attorney. 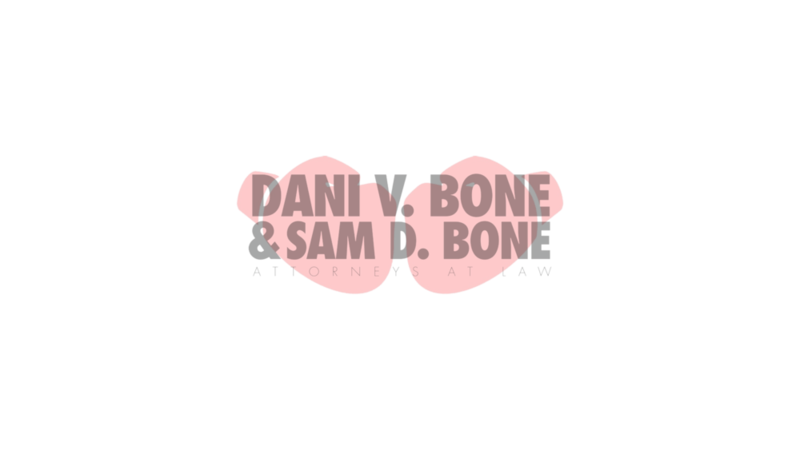 If you have questions about an injury at a business or on another person’s property, our attorneys at Dani V. Bone & Sam B. Bone, Attorneys at Law, can help you determine the cause of the injury and whether you may be successful in presenting your claim. We are also able to help accumulate the necessary evidence and advise you about the defenses to your claim. If you or a loved one have been injured and it is after hours, please fill this form out and we will immediately call you.